We are delighted to let you know that 2016 has been a very successful year for the Elajé team. 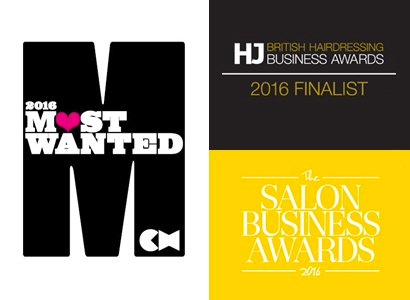 Due to all the hardwork, commitment and outstanding talent from all the team, Elajé Hair & Beauty has been shortlisted for three major hairdressing awards this year including; The Most Wanted Awards, British Hairdressing Business Awards and the Salon Business Awards. Go Team!